Please read: Windows 8.1 is supported with this Beta driver whilst Windows 8 is not. Fit – create the Eyefinity surface using best available rectangular area with attached displays. Expand – create a virtual Eyefinity surface using desktops as viewports onto the surface. Can create Eyefinity display group using this layout in one click! Mantle now supports AMD Mobile products with Enduro technologyEnables support for Multi-GPU configurations with Thief (requires the latest Thief update). >"Pfft! That's nothing? 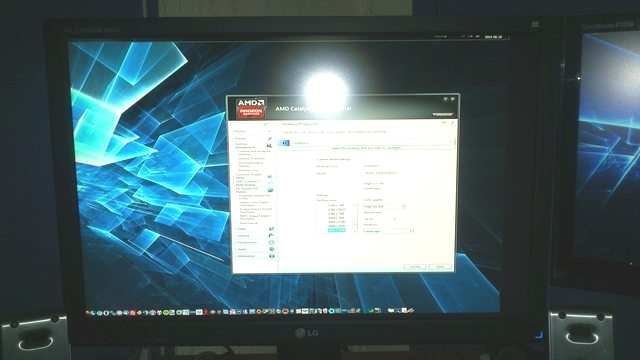 Why bother overclocking?" Really? Is this the mentality we're taking now? "God, you only got 5% performance, don't bother overclocking for just 5%!" I see what you're saying.. but 3 frames is not 5%. So with PvZ Garden Warfare being released tomorrow, should we expect a new driver release as well?, after all this is a Mantle title. 14.6 (RC and beta.) has a profile for that already. I thought it was released on the 27th of June? I thought mantle was suppose to remove the need for drivers and make easier to get performance without updating the driver per game. It's closer to the GPU but it still needs drivers to work, the core Mantle files are distributed and updated with the Catalyst display drivers. Not every game needs a driver; not sure honestly why everyone expects a new driver for every game release... Did AMD say something official to state such? I can maybe understand a new driver if the game uses unheard of tech that hasn't been optimized in existing drivers, and possibly with Crossfire and/or Eyefinity, but most of the time, poor performance on general computers is because of the game itself. OK, so I was going to test a graphics mod for GTA IV and I can't do it properly since the stupid game states that my graphics card is not good enough and wouldn't allow me to change the resolution or LOD inside game settings. Is this related to these beta drivers? Would anybody be kind enough so as to explain whether there is any way to modify those settings manually? Both 14.6 betas are broken when using my HDMI monitor (LG245WP-BN) (the ones with DVI works fine), it's being forced to 1080p (native is 1920x1200) and the image is shifted to the left. It seems to ignore the EDID on the screen.